WOWSERS!!! What a wedding reception! The sun was shining and the setting couldn’t have been more perfect for Scott & Jess’ wedding day. 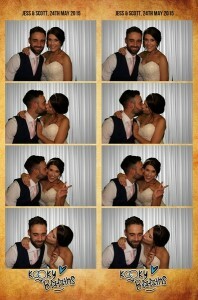 Jess looked absolutely beautiful and Scott scrubbed up pretty damn dapper too! 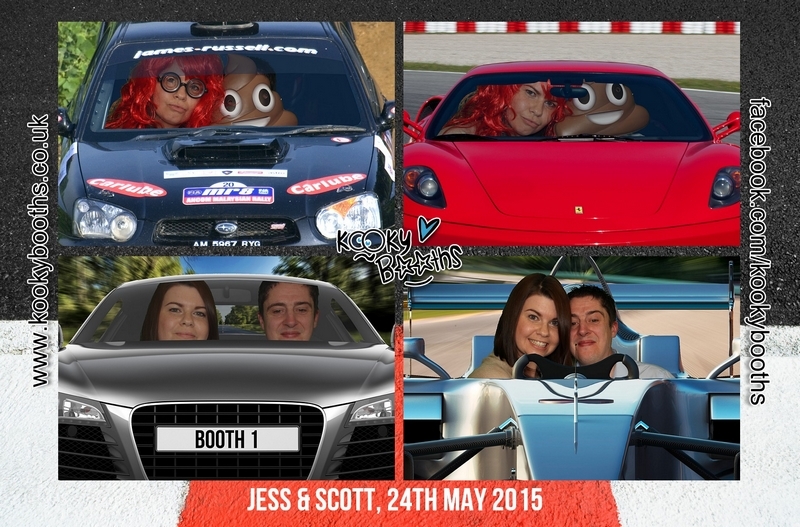 Scott & Jess had chosen our “Pretty Vintage” Kookybooth as well as our new Green Screen Dream Machine package, and they were not disappointed!! 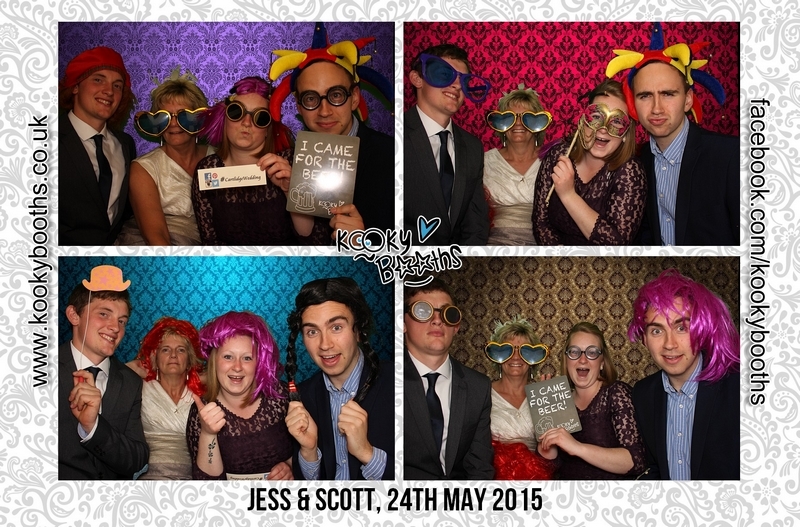 There were queues the entire evening, and their guests could not get enough of the Kooky Booth! 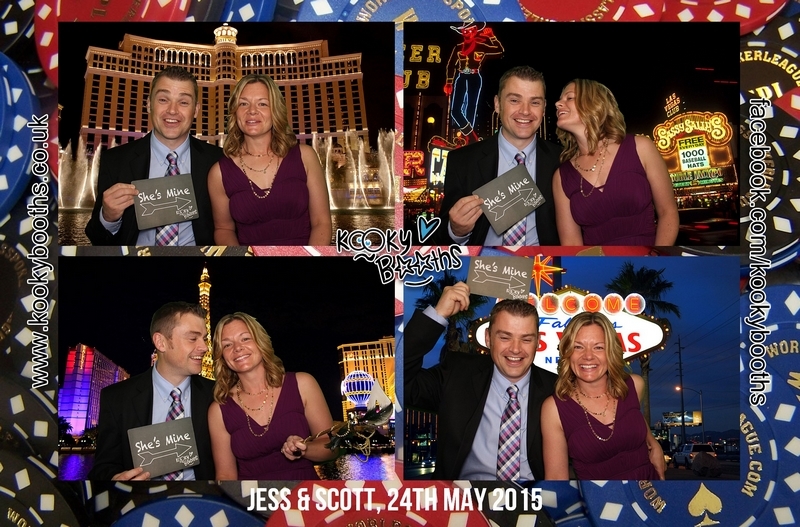 We had some fantastic feedback on the props / the booth style as well as the new software. Hysterics galore!! We took some amazing photos and we couldn’t be more proud! We met the wedding photographer, Vanessa who was absolutely lovely! She had taken some pretty amazing shots of the lovely couple and I can’t wait to see them. Vanessa has actually already booked us for her impending nuptials too!! Now when a professional photographer (particularly one as good as Vanessa) chooses you for her wedding entertainment, it’s a HUGE compliment and we can’t wait!! Jess went on to leave us the following feedback on our Facebook page, which is always very much appreciated! Congratulations Mr & Mrs Cartlidge! We absolutely loved being involved in your celebrations! Thanks for having us and enjoy your honeymoon in Florida!